As most of you know I recently moved. In that move I made the decision to give up the extensive cable package (aka couch potato package) that I had come accustomed to, knowing that I would register with Crave TV or Netflix. About 3 weeks back I finally registered for Netflix. I have never been a big documentary fan, but let me tell you I am hooked! Two weeks ago I stumbled across one called Fat, Sick & Nearly Dead. If you haven’t watched this, stop reading and go watch it….right now….I’ll wait….. The following day I watched Fat, Sick & Nearly Dead 2 followed by Hungry for Change. I have done my fair share of personal development work, read quite a few books, same on the nutrition front. They all say the same thing. Some you listen too and it just clicks, they are speaking your language. The idea of juicing was not a foreign concept to me, it was something I had thought about and done some research on, but holy sweet jeebus Joe Cross was speaking my language! The following evening I was at my chiropractor telling her about the movies and she was already on the juicing bandwagon and immediately told me that Joe Cross was going to be in Vancouver, speaking last Monday. My head was spinning, this was all happening within a week and I have always been a big believer in signs so…of course I went to hear him speak and drug along the BFF. I will do a separate post on my review of the movies and his talk later this week for those that are curious. 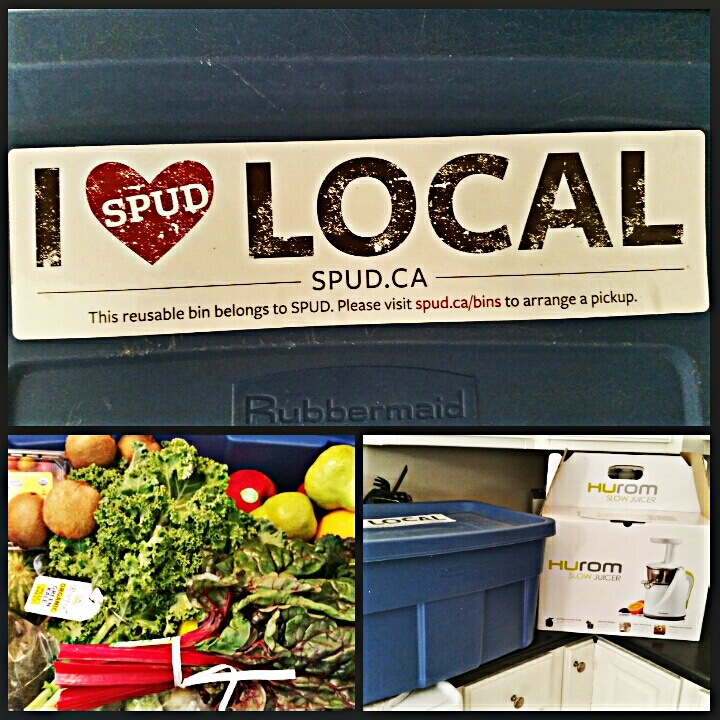 Last week I registered with spud.ca (will do a review after I have received a couple orders), purchased a juicer and my first order of organic produce was delivered right to my front door. I also took the opportunity to go through my kitchen and cleared out about 95% of the processed food I had in my fridge and cupboards. I have not moved souly to juicing or doing a juice cleanse. My track record for bandwagon jumping is not good, so I am going to do this slowly. I am removing processed food and sugar from my everyday eating and breakfast is now a juice followed by one later in the afternoon if I am so inclined. This morning it was spinach, kale, apple, celery, cucumber and lemon. My favorite so far has been beets, oranges and carrots. Seriously SO D.E.L.I.C.I.O.U.S! I have always struggled to eat my vegetables and now I have no problem. Removing processed food and refined sugar is something EVERYONE needs to do. 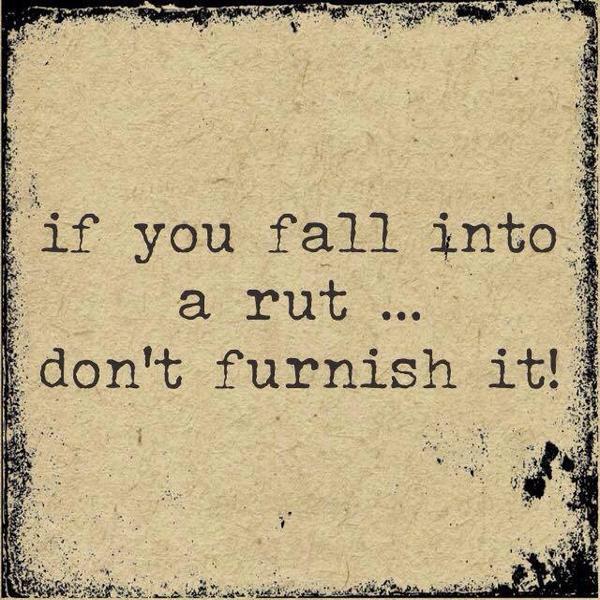 I have been stuck in a “rut” since the move and I furnished that rut, which is never a good place to be. I had a sit down with one of my trainers Taren on Friday and she pushed a few buttons and reminded me of my big picture goal. Last night, after a conversation with a friend who commented on not seeing some posts recently, he gave me another oh so gentle push. I can sit in the rut and let it win or I can do one thing each day that moves me more towards my goal, the choice is mine! Stay tuned for tomorrow’s post where I will tell you about breaking out in hives all over my face thanks to juicing!